Hey guys, I thought I'd do a full write up on here about my Kaydel Ko Connix build since I've received a lot of questions about it lately. 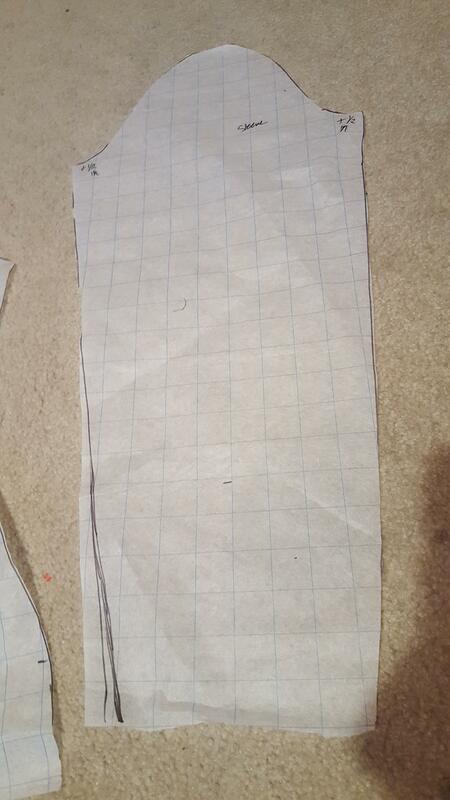 First off, this is the fabric I used. 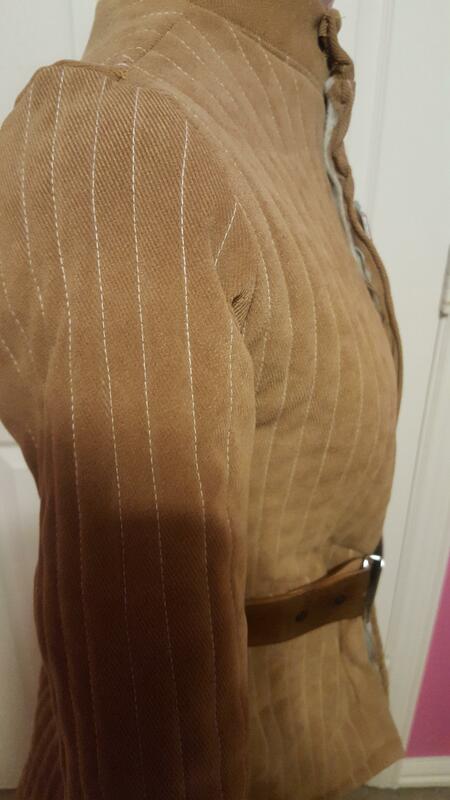 I used a dark olive green gabardine for the pants and a tightly woven tan corduroy for the coat. Both were bought at Joanns. 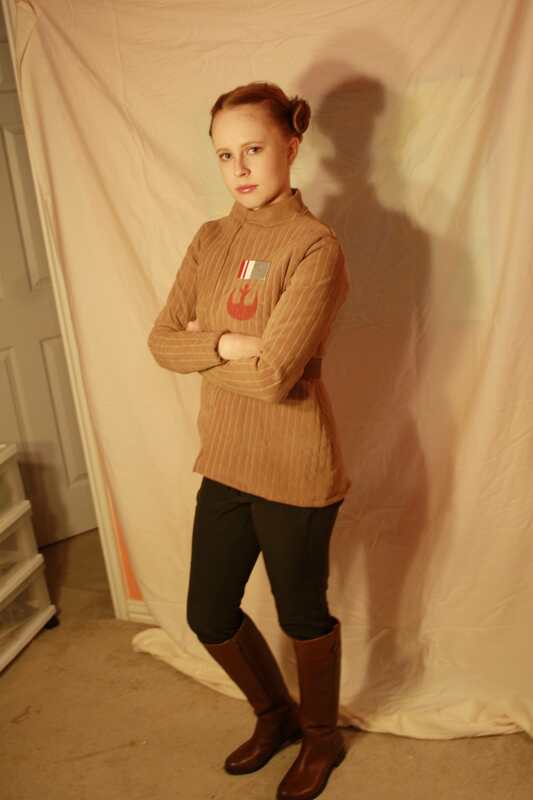 I have heard discussion that Connix's pants were brown in TLJ, but every time I see the movie and look at the references all I see is a dark green, so I made mine the color I saw. 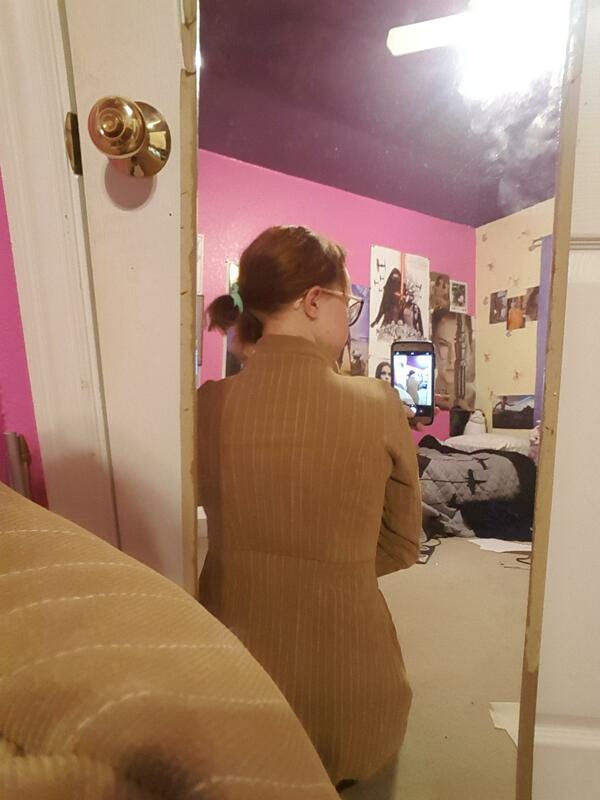 The most questions I have received have been regarding my pattern for my coat. 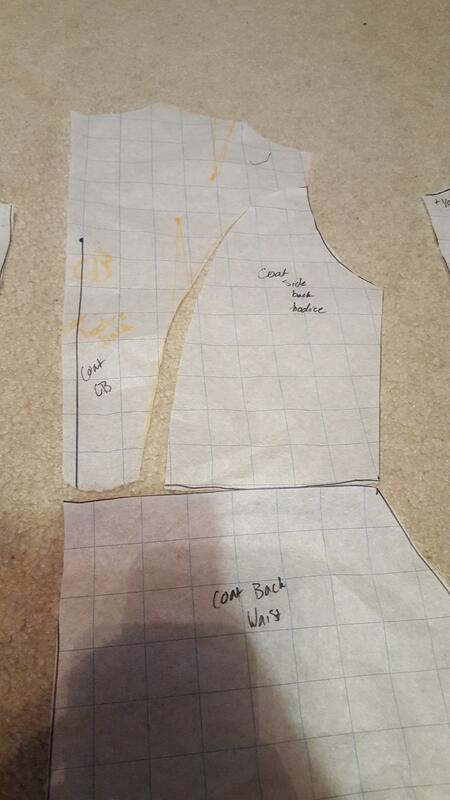 I custom made my own pattern to my measurements. This is easily done using slopers and a whole load of math if you know what you're doing. If you know pattern making and understand the concept of slopers, go ahead and skip this section. 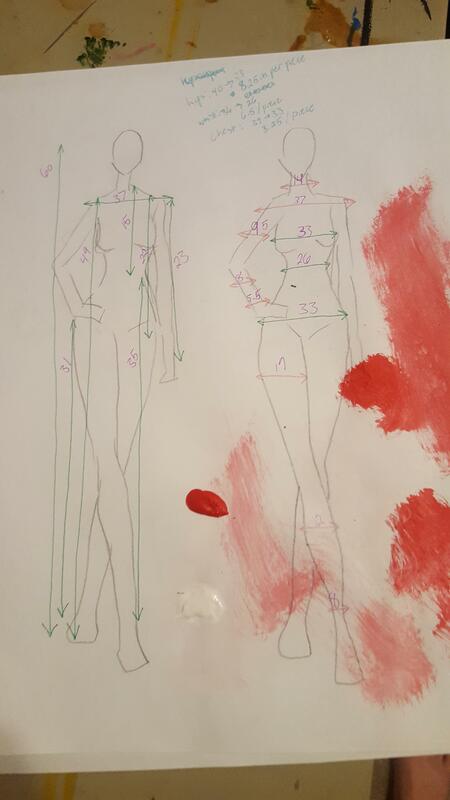 First, I made croquis with all my measurements and the basic design on them, as I generally do when starting a build like this. I jot down notes and basic construction things that I need to include, especially if there is a CRL, and then I do two croquis with all of my measurements (in inches). These allow me to create a pattern that will fit me perfectly overall. 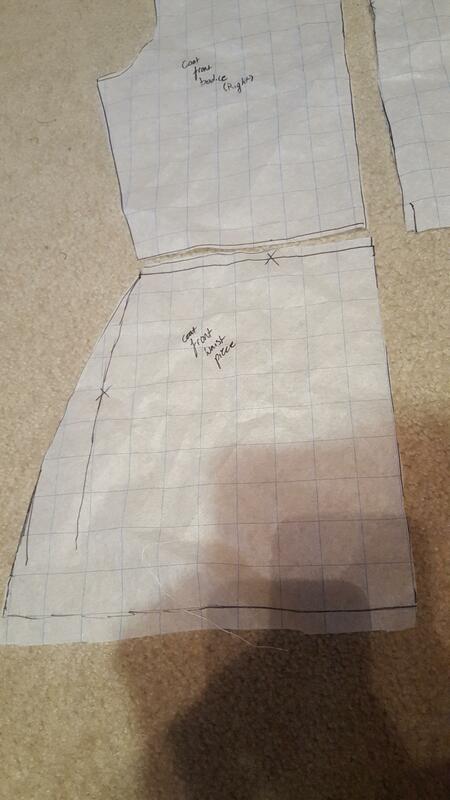 I take all the measurements I will need, lengths, widths, circumferences, etc. until I have enough that I can alter my slopers. This is a picture of what my basic slopers look like. My basic slopers were made by a friend of mine at University who is an ADSM major and learned to make slopers in a formal pattern making class, and was kind enough to allow me to sneak into the lab during off hours and copy them. 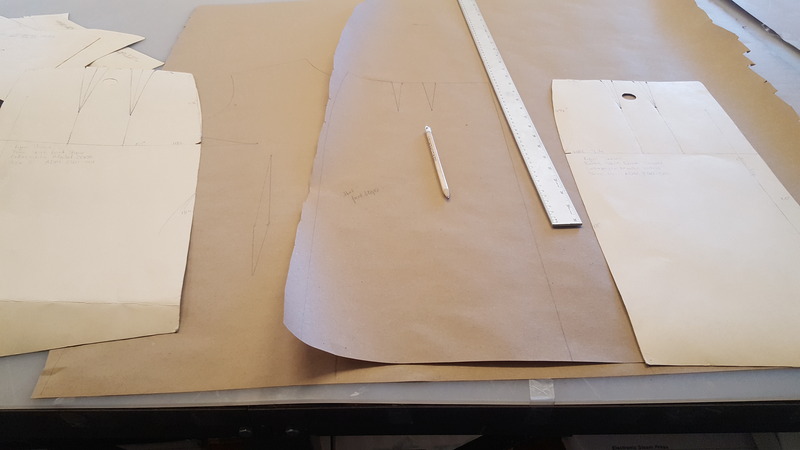 Slopers are basic pattern pieces, like a bodice front and bodice back, or a skirt front and skirt back, that are then used essentially as a key to create just about anything. 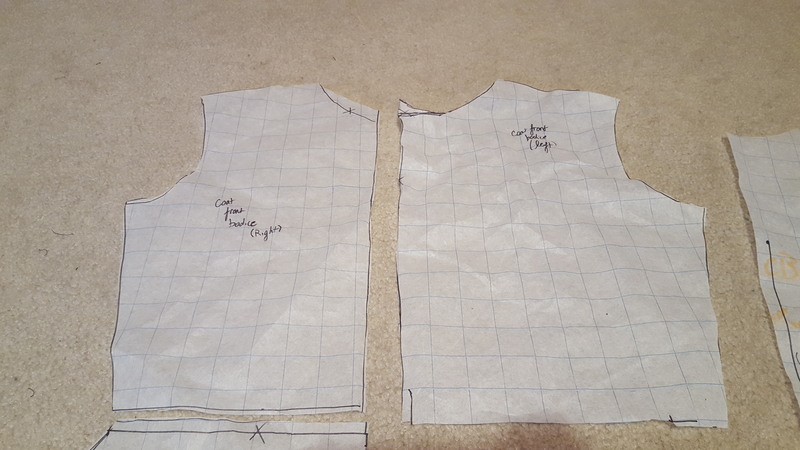 You combine them together to make a dress, separate them and add the sleeve slopers for a jacket or a top and skirt, etc. They are magical things. 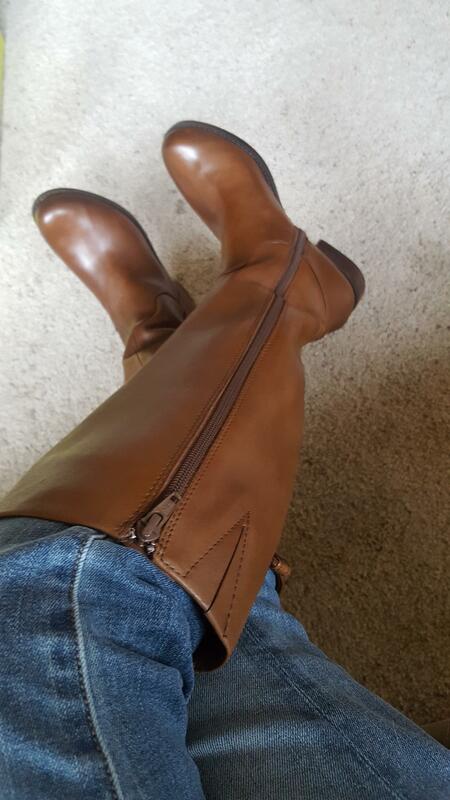 However, they are also made in a standard size (hers are size 10), so you have to do a lot of math to make them fit if you are not that standard size. I'm smaller than the smallest pattern size you can buy, so I had to downsize them a lot. Again, just basic algebra. 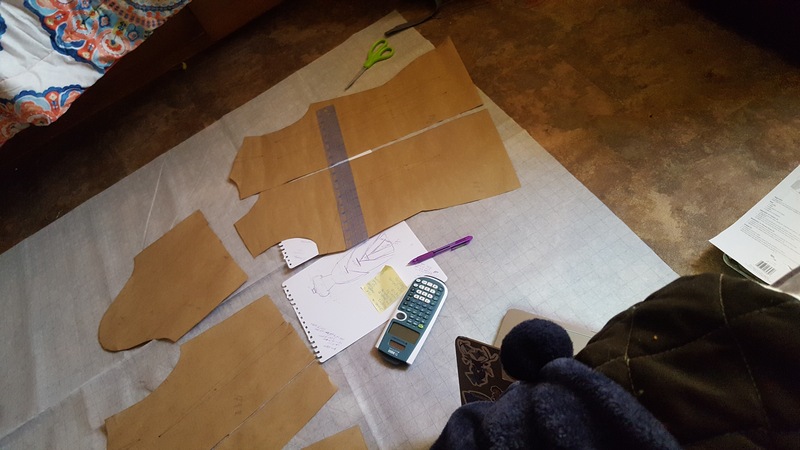 If you can figure out how to divide your waist size into however many pieces you need, and then figure out how much smaller you need to make each piece, you can alter everything to fit you. 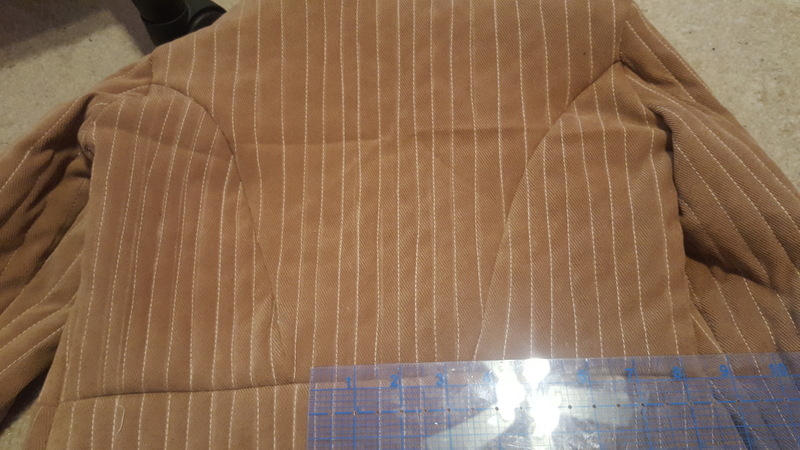 So, after copying the basic torso slopers, I chopped them at the waistline and then created princess seams in the back via a french curve, which, if you are not a pattern maker you will desperately need to get. At this point in construction I was not made aware that the princess seams in the back went all the way down to the bottom, so that part of construction is not reflected here. 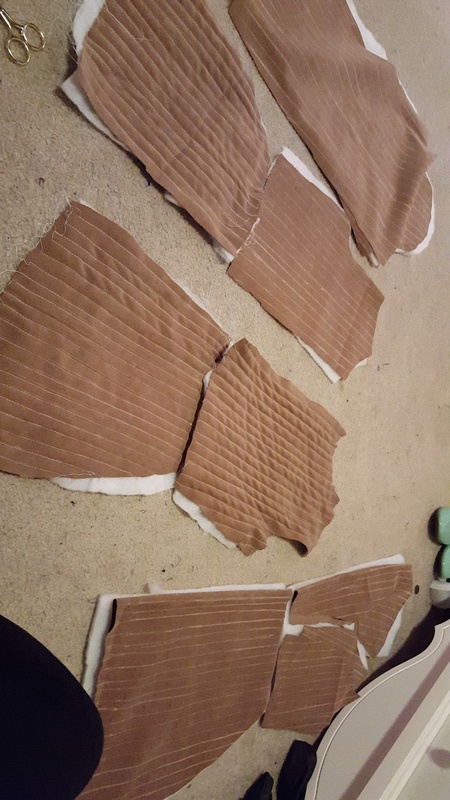 I also made the front pieces overlap, so that the left side was much wider in the middle than the right so that I could have enough space to fasten it down. 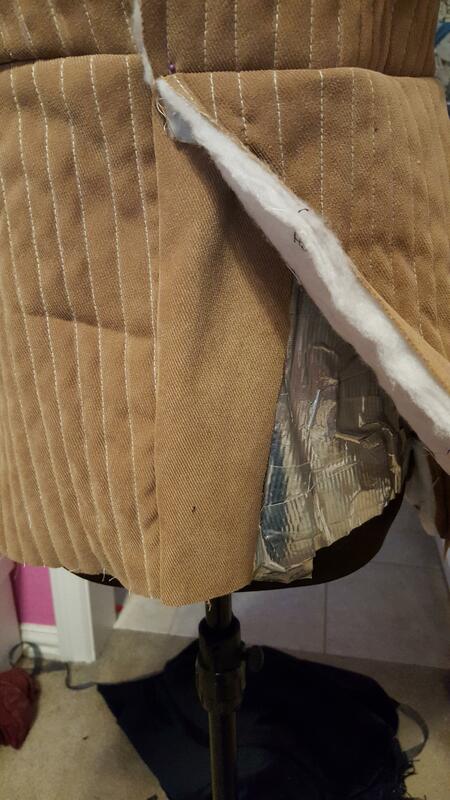 However, it did end up being a little small on me, so I made a modesty panel and attached it to the right side later and then attached my closure mechanism down to that panel. 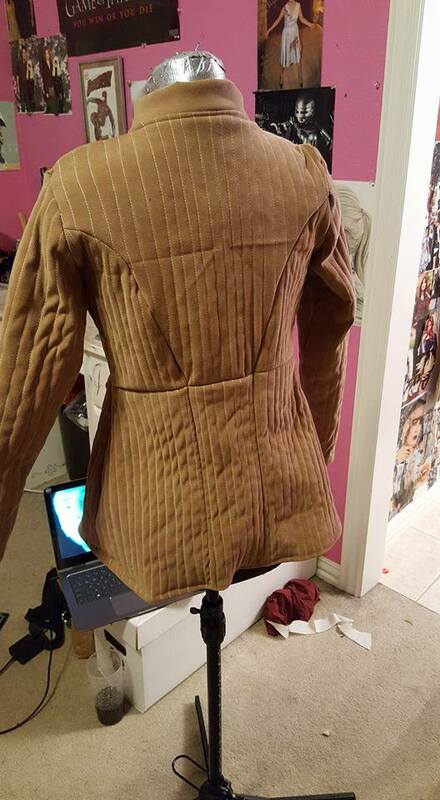 The next step was the tedious process of cutting out each piece out of the corduroy, quilting, and lining. 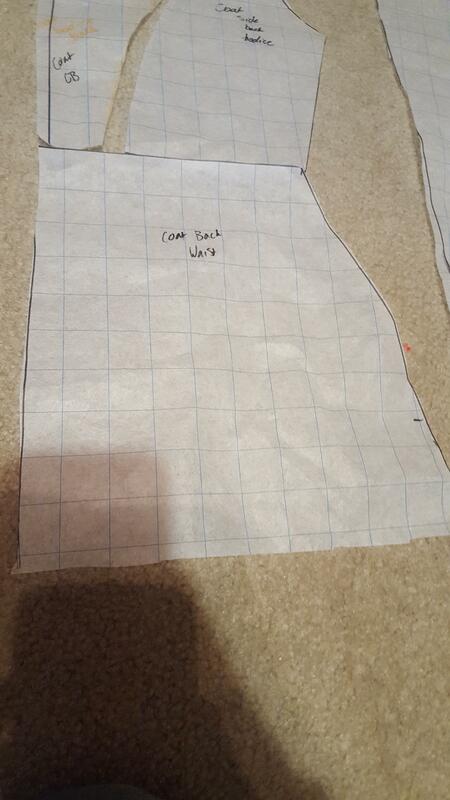 I then pinned the quilting down to the corduroy and marked every 1/2 inch with chalk and a straight edge. In this photo you can see some of the marked and not yet quilted pieces on the bottom and top. Then, after seven hours worth of basting down every line I made and sneezing every time the chalk (inevitably) got in my nose, I had the basic pieces done. Thank goodness. Once the quilting was completed, I sheared off all the excess quilting that stuck out in weird places and then sewed all the pieces together the same way you would any other pattern. 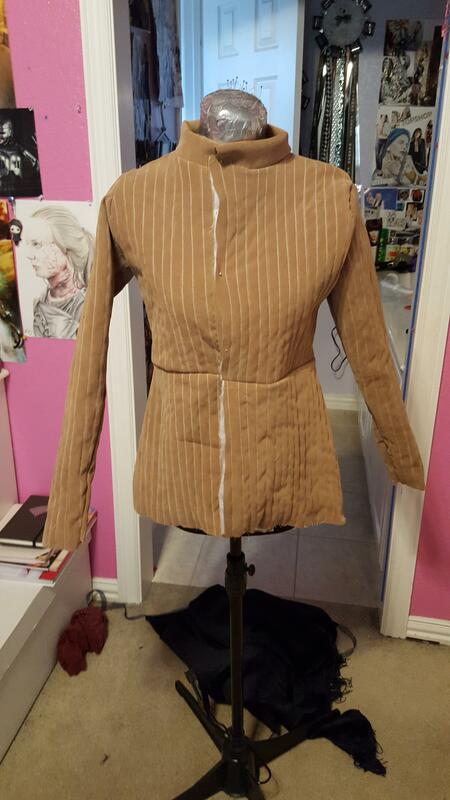 I now added in a collar, which is just a four inch, folded and sewn piece of unquilted corduroy. At this point I was also made aware that there were princess seams all the way down the back of the coat, and I promptly drove to the theater to rewatch the whole movie just to see if they were right, and sure enough, there they were. I also noticed she has a Glie-44D and holster on her belt... but I will leave that for another time. I don't have the time to make that right now. I quickly added "extended princess seams" which are really just darts that give a very good appearance of princess seams. Once that was done, I made a stencil for the Resistance symbol on her breast using stiff sketchpad paper and tracing the symbol from my laptop and then cutting it out and taping the spot where it was cut, and using that as a stencil. 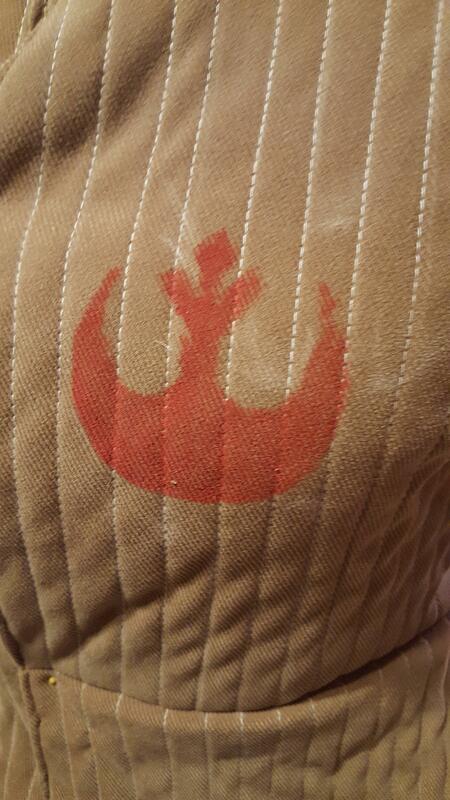 I used a red fabric marker from Michaels that was like four bucks to make the symbol look like it was more part of the fabric than painted on if you know what I mean? I wanted it to look printed or natural and not weird and clunky, so I liked the effect that the marker gave me. 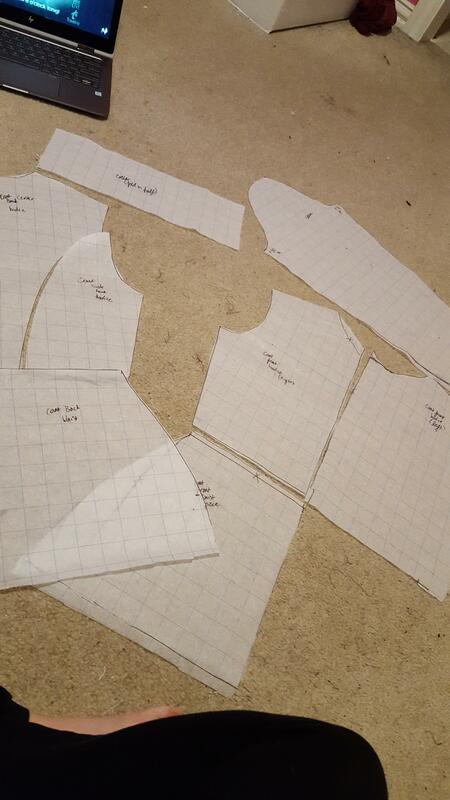 I then began to work on the closure method. 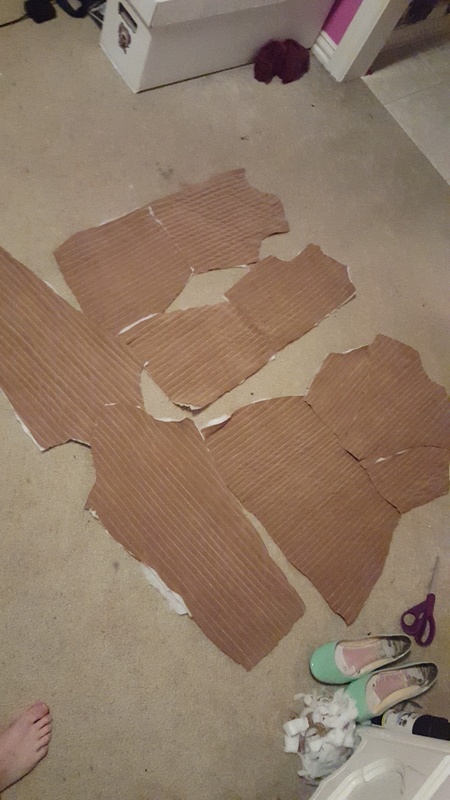 My initial attempt involved all snaps, but honestly, I am SO BAD at making snaps lay right, and it looked so wrinkled and gross that I just undid all but two snaps and put some of my dad's industrial velcro left over from his TK in its place. The two snaps that remain are there for stability and reinforcement, especially since velcro would not be ideal up at the neck part. For many of the next few pieces I don't have many photos, so most of this will be in writing. I made my belt using my buckle from Mara Jade, which I bought at Tandy. It needs to be polished with some steel wool or something very badly, honestly. 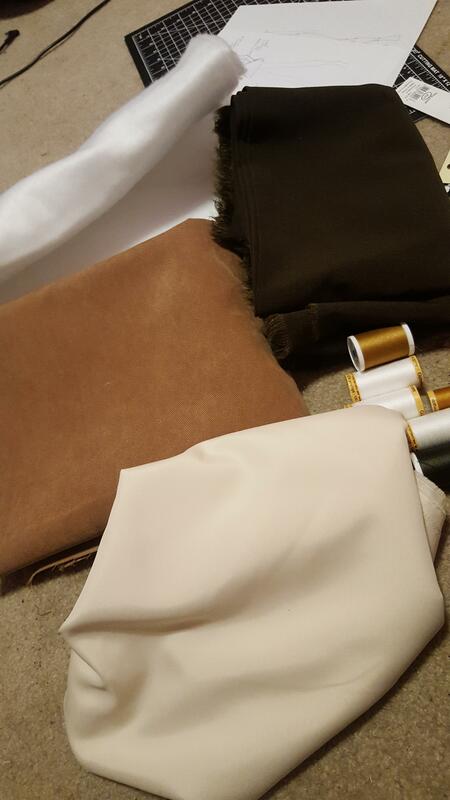 The leather was literally just from a belt "kit" that you can get for like 20 bucks at Michaels because that store just happens to be close and I was lazy. Plus the guy who works there likes me for some reason and gives me his employee discount. I highly suggest going to Tandy for something cheaper and better quality, though. 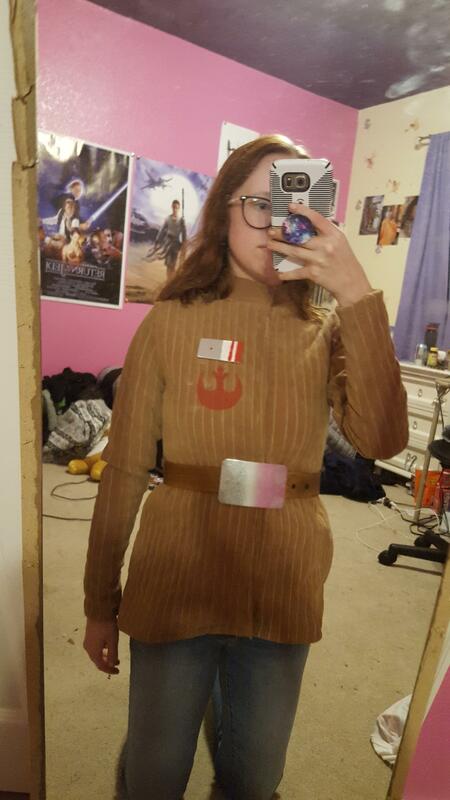 The belt was cut to my (tiny) size and then dyed with the same dark brown dye I buy in bulk for ALL my belts. In the first few photos it looks really light and splotchy, but I went back in later and polished it up with more dye, another finish coat, and more conditioner. The rank badge I dremelled out of some sintra I had lying around still from my Sabine Wren costume, and then beveled the edges with some sandpaper. I used some watered down Rub'n'Buff and a paper towel. I free handed the red and white lines later with some acrylic paint, and then attached two very small neodymium magnets (again left over from that TK) with E6000 to the lining of the coat and to the rank badge so that I can remove the badge and wear it as a regular winter coat (because it is very warm). 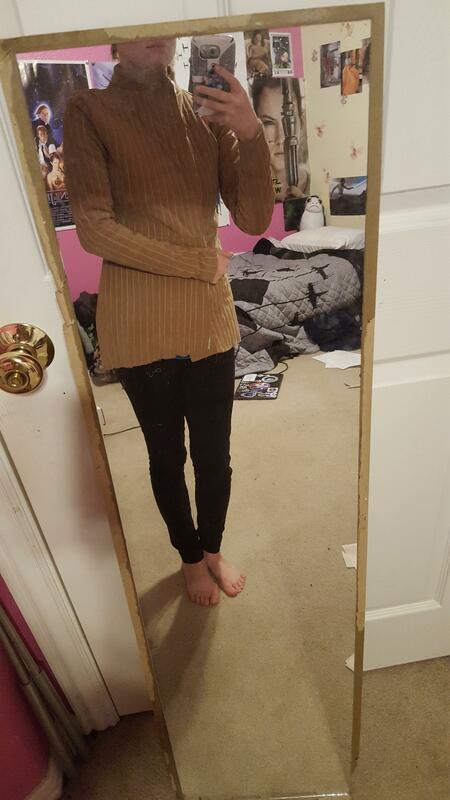 The next thing I got was the boots. I think they still need a small buckle attached to the top portion, but I still do not know for sure, and for now I personally believe that small metal ring will work fine. 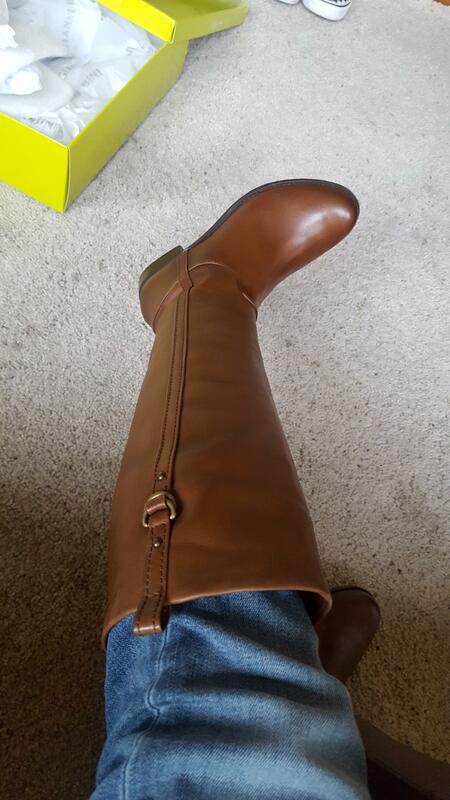 These are Gianni Bini boots from Dillards that were 40% off since I went the day after Christmas. Normally they were $150, but I got them for $90. If I have to E6000 a buckle onto the top of these, I really won't throw a fit. I just have to wait and see now. 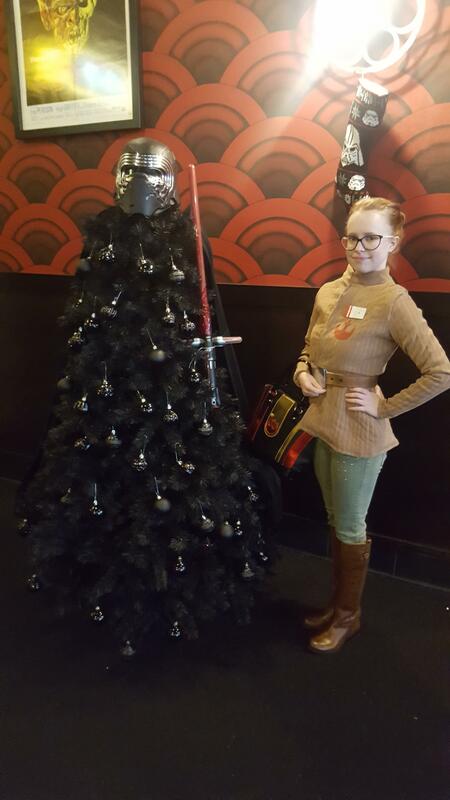 At this point I wore what I had to Alamo Drafthouse to go see the movie again. I thought I was cute with my matching purse. 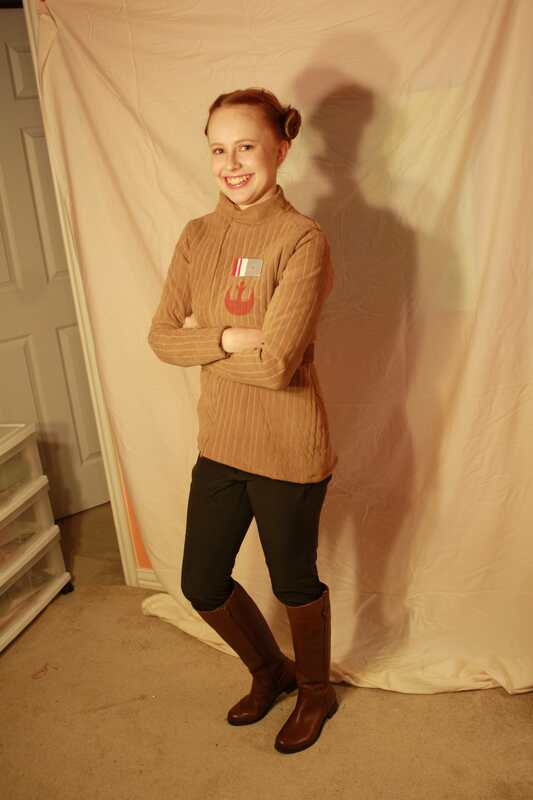 A while after this, a friend of mine came over so I could help with her Visas build, and she agreed to make the pants for me, since I am terrible at pants. We failed to take any photos of it while it was in progress, but they are basic pants with a zipper and fly and side seams. I added an extra seam directly beneath the knee, but I can't tell if she has topstitching or a pad on the knee or not, so I left it be for now. We may have to remake them, but that's okay. As long as I don't have to do anymore quilting for the rest of my life I will just roll with the flow. So here you have it folks! 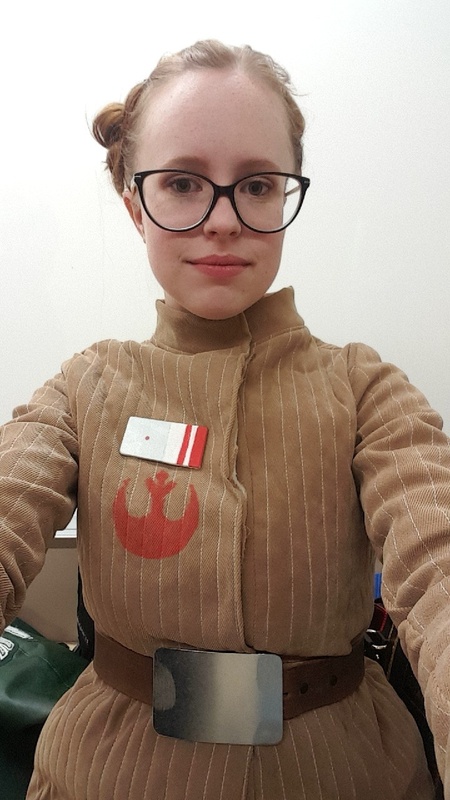 Lt. Kaydel Ko Connix complete and ready for action! OMG I love this! Thank you so much for posting this. My daughter wants to make this . <3 You look so beautiful. Amazing work! This was built before we wrote the standard. Abigal has done a great job, with some great detail, but there are some little details we've since spotted that are needed to clear. 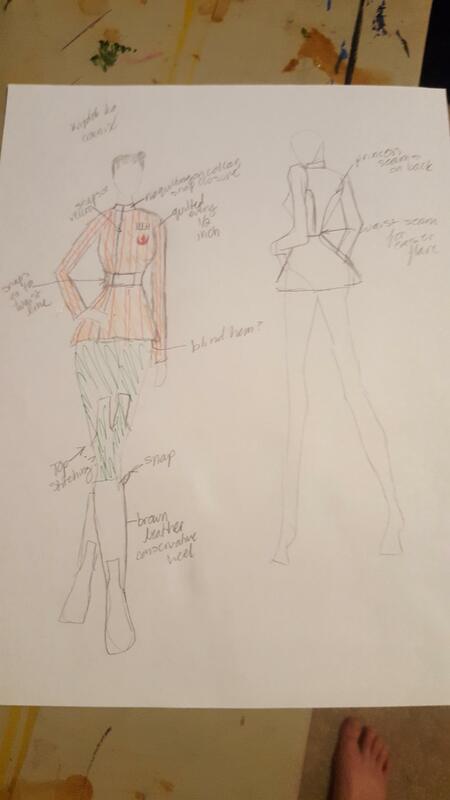 The trousers are brown and the belt needs to be flush with the buckle.....best thing to do is get your daughter to start a WIP here in the detachment so we can help. My name is Abigail, and I have been approved. 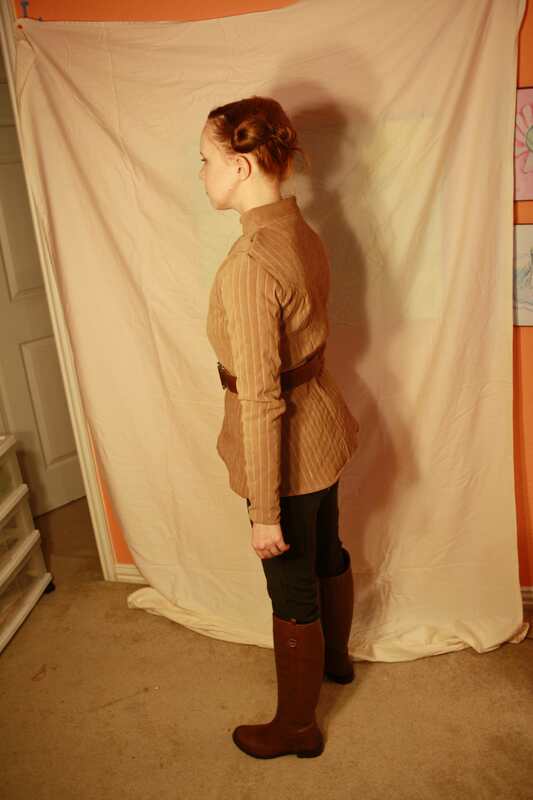 The trousers are not required to be brown for approval, because they appear brown in some scenes and olive green in others. I and others have been approved already with olive green pants. I did fix the belt after Dawn requested I fix it, but the pants were not an issue. Anyone can use olive green pants. I also helped to contribute a lot to the CRL discussion, and there is still no standard for TLJ Connix, but others are approved with Connix as well. As you can see, I have been approved and I still used green pants. 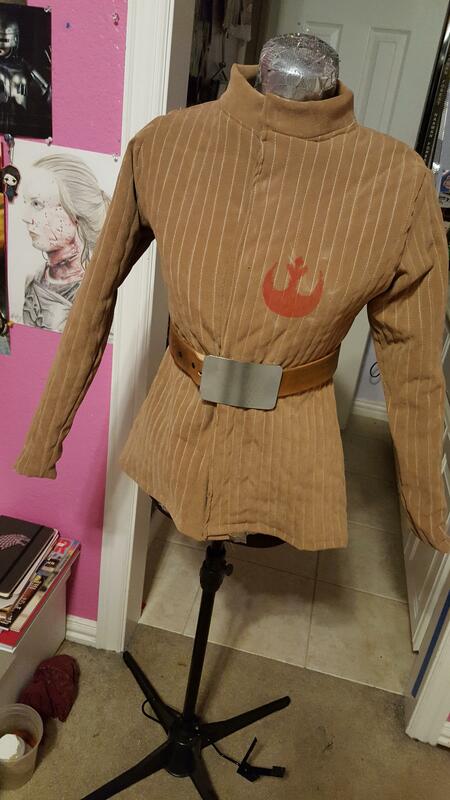 Yes, I made the changes to the belt, and I changed the closures on the jacket, as requested by Dawn. Dawn made no remark regarding the pants, so olive pants are acceptable for approval. I have also helped regarding the discussion on the Connix CRL. I have two questions for empathy. You're talking about a standard being built for the character, is that standard published so everyone can see it? Also, are you a costume judge? The reason I ask is that I'm under the impression that the costume reference library for the standard has not been built and published. As well, a lot of people contributed to it, not just one. But mainly, it would be easier to give insight to others if you have a standard to run it by it. So if it is published, please include a link so other people visiting can see the reference. Awesome thank you so much <3 This helps to know where to start. The standard is here in the standards section.......its based on the new format. Its built based on the refs....we have spent hours going through every scene with an officer in it.....to find consistency or separate variations. 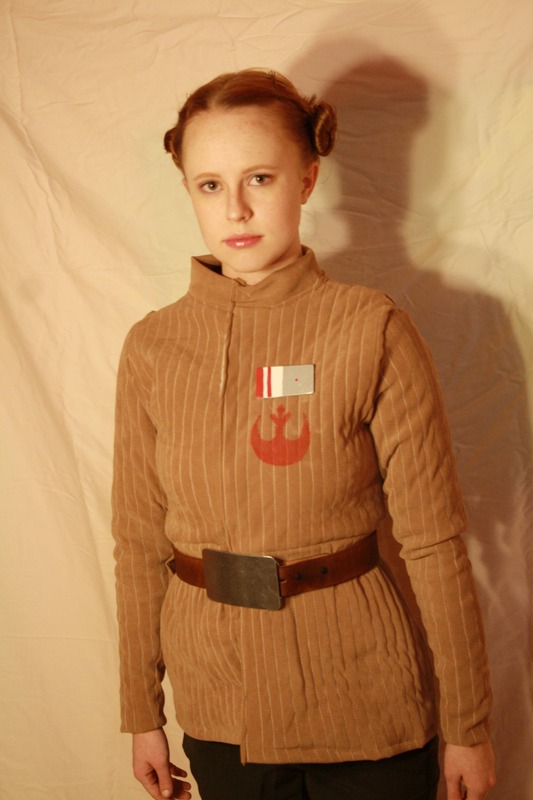 They match the trousers with patch pockets from the TFA officer standard with the gold vested officer. (so if we did put them in as say a briefing room option, they would need the patches I would think). The belt being flush matches the standard for the TFA Officer and TFA controller (we have tried to be consistent with parts that cross over standards). My comment was not a slight at all on Abigail, I apologize if you felt that way.....its more that to reflect the new references. So that we can guide people. Your build has some fantastic construction info in it and we appreciate it. I'm not a judge, I'm the DXO for this detachment, but we work with the judges because we want everyone to build the best costume they can and to clear without having to make modifications. Its not about anyone being right, its about us all working together as we uncover any new information and adding to what we already have, just last week someone found a holster ref which means that can now be added to the TFA Officer standard, which is great. So it's not complete and only in proposal form. You came in ridiculing someone's approved costume against a "proposed" CRL that isn't complete. That is how it appears. This isn't how members should treat or communicate with others. We should be supportive, point to factual information, and be clear of things aren't official. 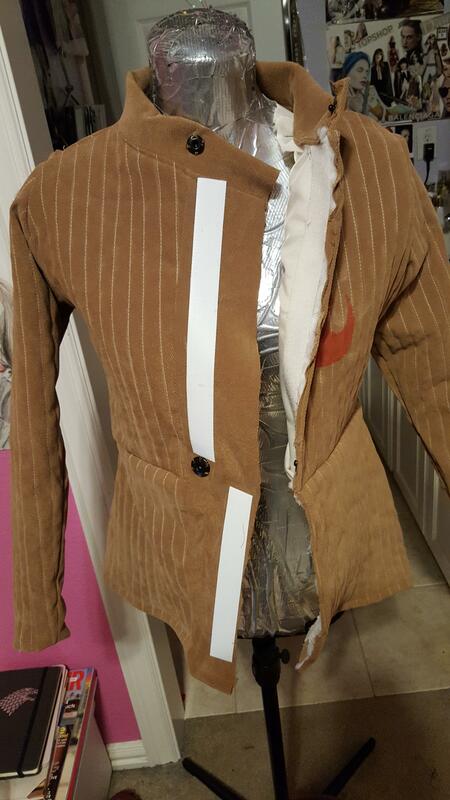 Of corse tone is hard to get through text, but we can still communicate sympathetically being that we've all been at the point when building; we all started out from scratch weather an existing costume or a brand spanking new one. I'm an officer in multiple spots sho i get it. Hopefully it gets approved soon so others will have it to build from. I'm not quite sure what led to quite that response? IMHO I'm not seeing any ridiculing- someone else commented on the thread with the intention of following the build model. Empathy just pointed out that since the movie has been released and high resolution screen caps have become available, a new standard has been written so it would be best to post a build thread for guidance. It in no way impacts or lessens Abigail's approval, and the new information wasn't available until after she finished her build. Build threads are always good advice, and she was very clear that she was not denigrating Abigail's work. The way the new standards work means this standard has been submitted to the standard review committee- it just won't be revised by the committee and posted until the new forums are up. The queue of standards waiting is pretty large.